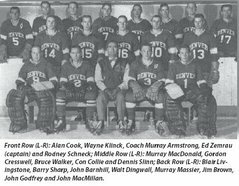 There’s no question Denver’s athletic program produces top-notch athletes prepared to compete at the professional level following their time as Pioneers. This past weekend Denver men’s soccer alum, Nat Borchers, won his second MLS Cup with the Portland Timbers on Sunday. Borchers, who was traded in 2014 from Real Salt Lake, led the Portland club to its first MLS Cup victory as one of three players who played every minute of the playoffs and Cup final. The defender, easily recognizable by his enormous red beard, has become a fan favorite among Timbers fans thanks to his resemblance to the lumberman mascot, Timber Joey, and his tenacity as a starter in the backline. 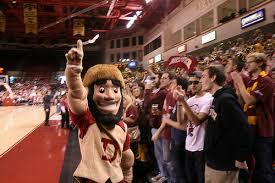 Borchers, a midfielder at the time, played at DU from 1999-2002 under head coach Chad Ashton. 1999 marked the second year the men’s soccer team was competing at the Division l level. Borchers was named to the all-league three times and was named the Mountain Pacific Sport’s Federation Player of the Year during his senior season. Following graduation, Borchers signed with the Colorado Rapids’ development program. By the middle of the 2003 season, Borchers had been called up to the Rapids and thereafter started as their center-back. In 2006, Borchers traveled abroad to Norway to play on the Odd Greenland team. He returned stateside in 2008 and signed with Real Salt Lake where he led the club to the 2009 MLS Cup Championship and also made an appearance in the 2013 MLS Cup, but fell to Sporting Kansas City in penalty kicks. With Borchers’ success as a professional athlete, the now 34 year-old has continued to showcase his Pio pride through wishing the men’s soccer team good luck in playoffs via Twitter and even giving Chancellor Chopp a personalized Portland Timbers jersey. Denver men’s basketball alum, Chris Udofia, graduated in 2014. After a year playing in Israel, 6-6 forward is now playing for the Santa Cruz Warriors, the NBA Development League affiliate of the reigning NBA champions, the Golden State Warriors. Udofia has started seven of the Warriors’ nine games thus far, averaging 31.6 minutes, 5. 3 points and 7.3 rebounds per game, as well as a player impact estimate of 5.0, which measures a player’s contribution in comparison to their statistics logged within games played in. The Warriors are currently fifth in the Western Conference and second in the Pacific Division. At Denver, Udofia led the Pioneers in blocked shots (256) and games played (124). The Texas native was named first-team all-conference three times in three different leagues and received both the Summit League (2014) and Sunbelt Conference (2012) Defensive Player of the honors. Udofia went undrafted in the 2014 NBA draft before traveling to Israel to play for Elitzur Yavne where he averaged 10.8 points and 8.8 rebounds in his 28 game appearances. Udofia then signed with Golden State Warriors on Oct. 19, 2015 and was waived four days later before he was picked up by the Santa Cruz Warriors. 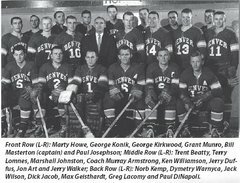 Denver’s hockey program produces the greatest amount of professional athletes on campus. Last year’s graduating class consisted of seven seniors, all of whom greatly assisted the Pios’ third place finish at the NCHC Frozen Face-off over North Dakota, and NCAA tournament quarterfinal run. Four of the seven graduates have continued their hockey careers at the professional level. 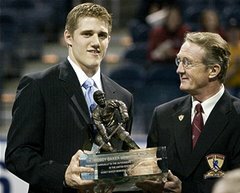 Josiah Didier was selected in the fourth round of the 2011 NHL draft (97th overall pick) by the Montreal Canadiens. 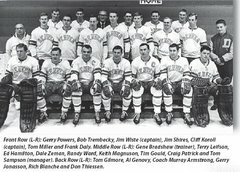 The 6-3, 220-pound blueliner from Littleton, Colorado is currently playing for the Canadiens’ AHL affiliate, St. John’s Ice Caps, after signing a one-year contract. Didier has skated in nine games this season and tallied one assist. 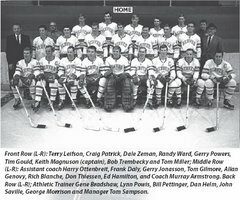 With a 12-6 record, the Ice Caps are ranked third in their division.During his time at Denver, Didier was named an alternate captain his senior season and tallied 4 goals and 25 assists for 29 points over his collegiate career. Daniel Doremus, the right winger from Aspen, Colorado signed a professional contract with the AHL affiliate of the San Jose Sharks, the Worcester Sharks. In 2015, the Worcester Sharks were relocated to the Pacific Division and are now recognized as the San Jose Barracudas. Doremus has appeared in five game appearances and recorded 1 goal, along with 2 assists. The Barracudas are ranked fifth in their division at 9-13. 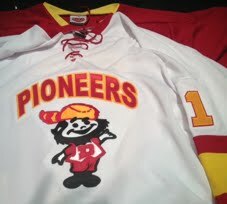 Doremus earned 90 points as a Pioneer, contributing 36 goals and 54 assists. Ty Loney, son of two-time Stanley Cup Champion Troy Loney, signed to play professional hockey with the Wheeling Nailers, the ECHL affiliate of the Pittsburgh Penguins, following in his father’s footsteps. Sporting the same jersey number as his father (#24), Ty has made quite the impact with the Nailers this season making 15 appearances, netting five goals, and earning five assists, to total ten points so far. The Nailers are currently second in their division with record at 11-9. In college, the forward generated 89 points over 152 games, tallying 39 goals and 50 assists. He led the team in shots on goal with 129 in his senior campaign. The last of the “Fantastic Four” is Joey LaLeggia who was drafted in the 5th round of the NHL draft by the Edmonton Oilers. The Burnaby, British Columbia native defenseman began his pro career playing five games with the Oklahoma City Barons, which disbanded after the 2014-15 season. LaLeggia now plays in the Pacific Division for the Bakersfield Condors, affiliated with the Oilers, and has played in 20 games earning 7 assists. 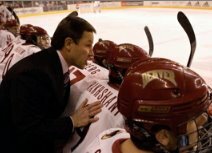 The Condors are ranked sixth in their division with nine wins and nine losses. As one of the greatest student-athletes in program history, LaLeggia, scored 49 goals and totaled 132 points over 156 games. LaLeggia was named NCHC Player of the Year, NCHC Defenseman and Offensive Defenseman of the Year, First-Team All-Conference, and was named a top ten finalist of the Hobey Baker Award. Across the 17 varsity athletic programs on campus Denver excels in preparing student-athletes among all sports for the next-level of play. These recent newsworthy athletes mentioned are just a select few out of the extensive list of graduates making a successful, positive name for themselves and DU at the professional level. Matt Tabrum off injured reserve--first shift, first shot, first professional goal for the ECHL's Wheeling Nailers.